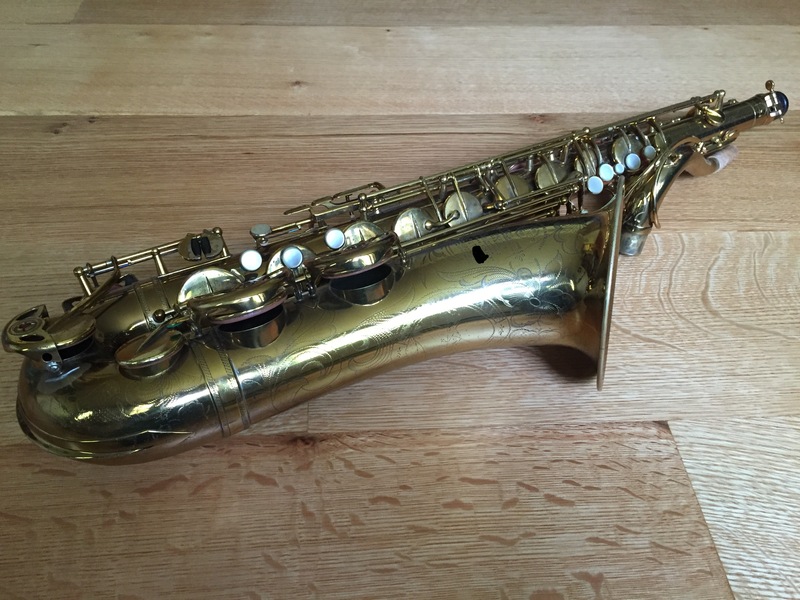 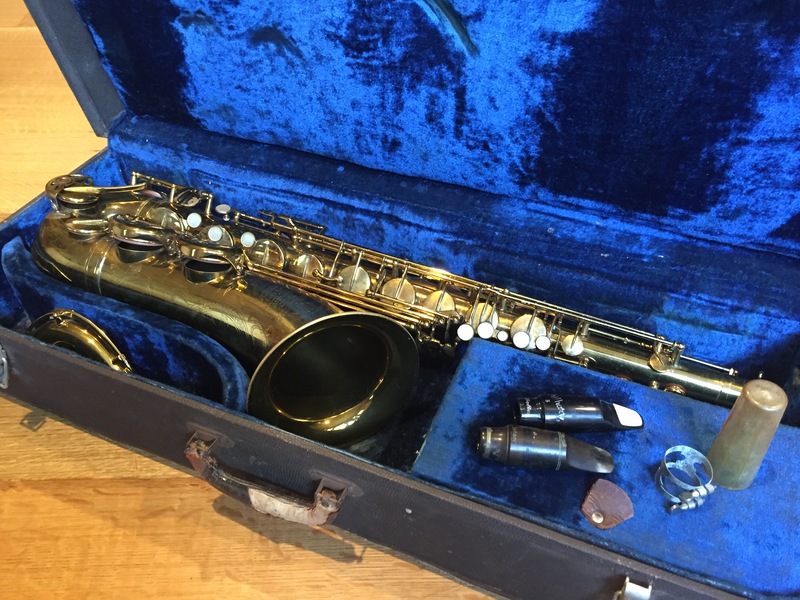 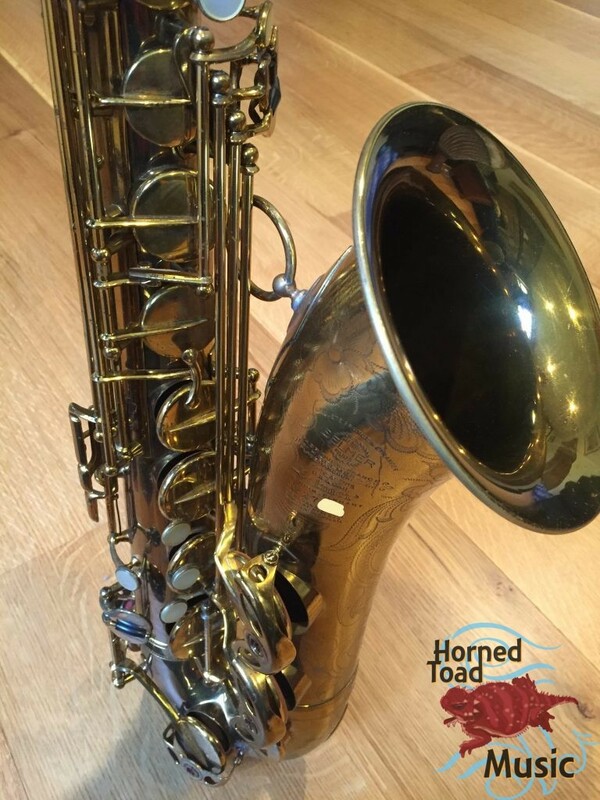 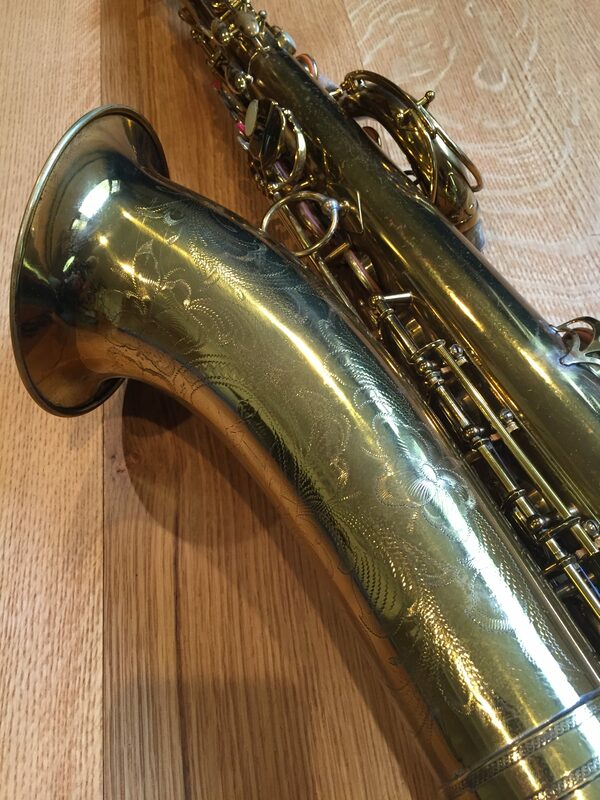 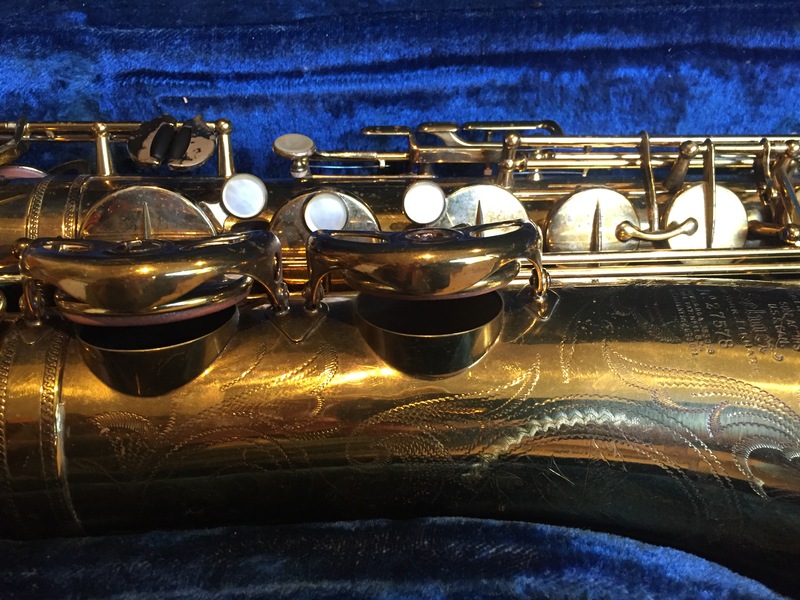 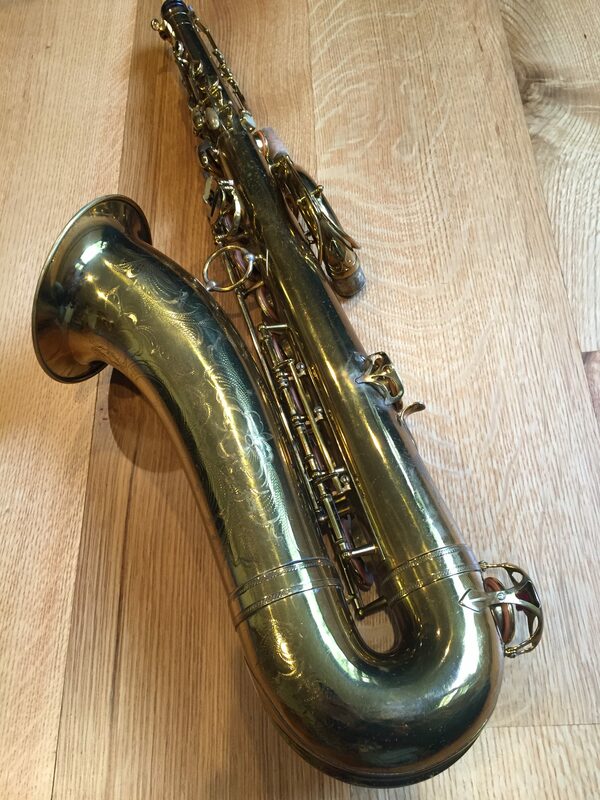 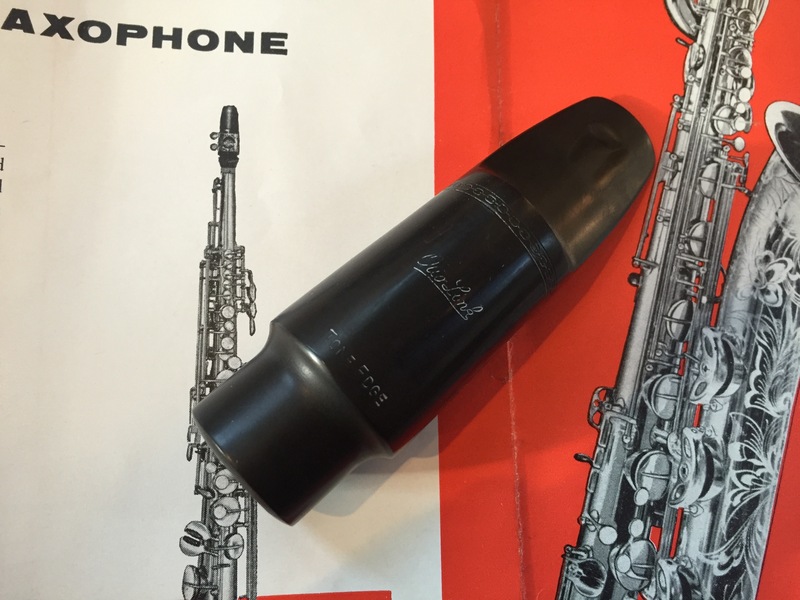 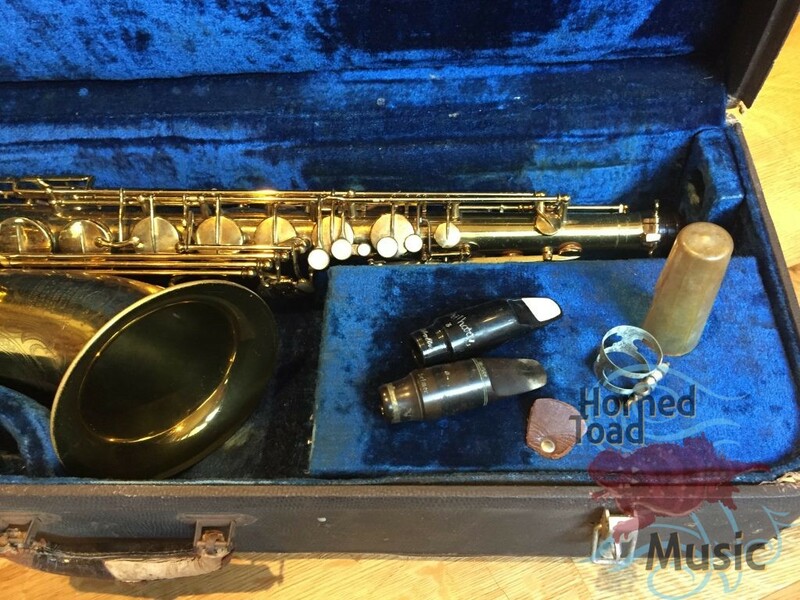 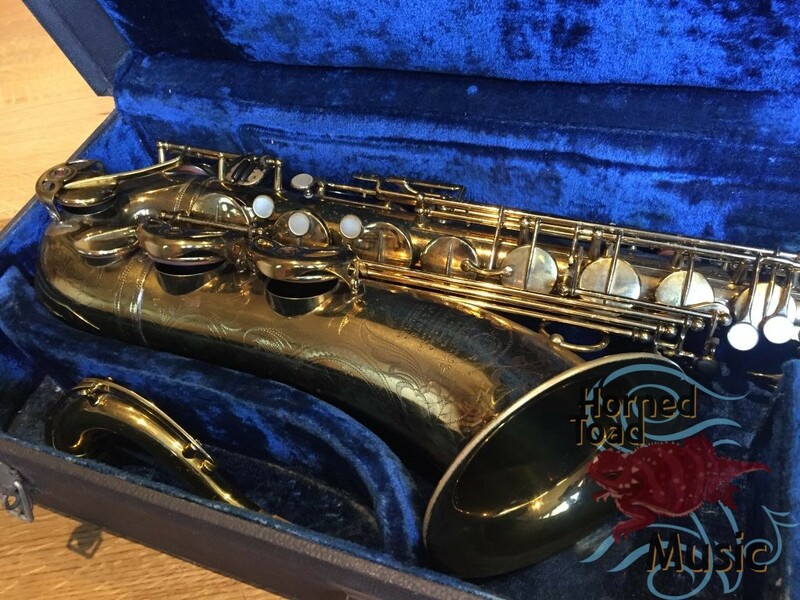 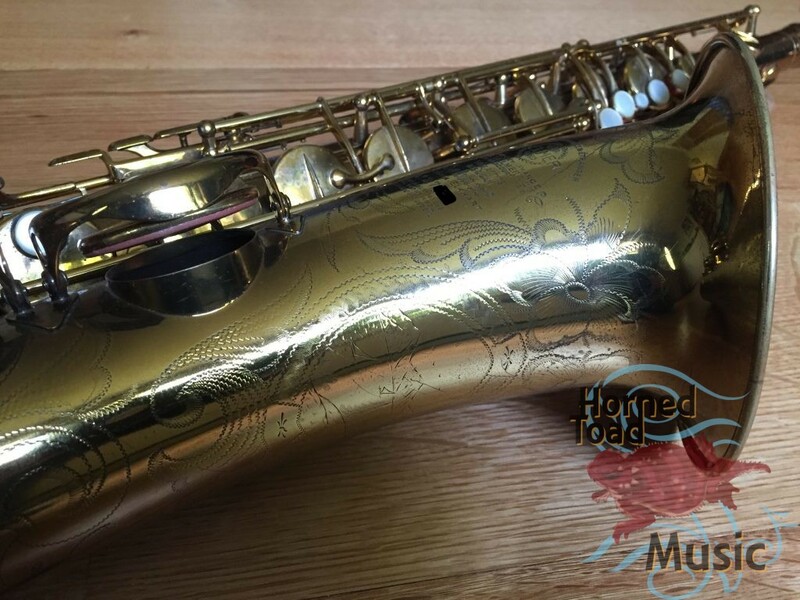 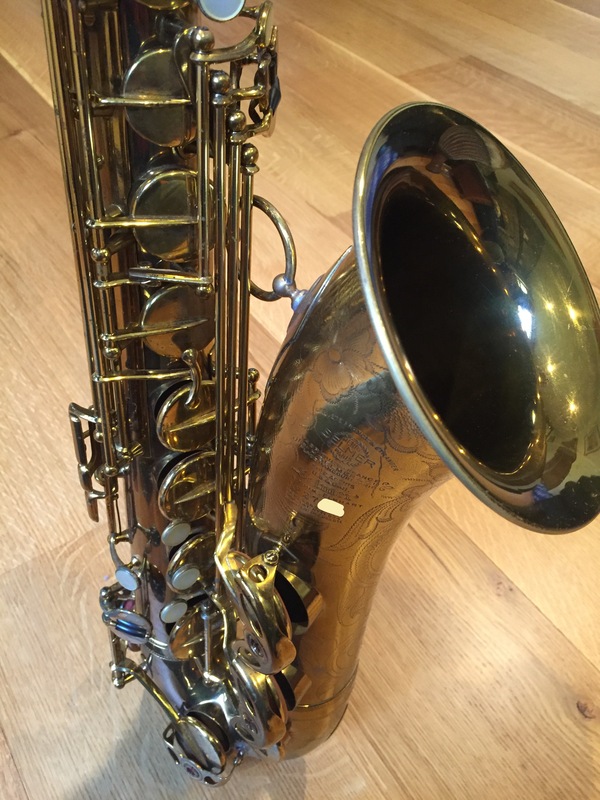 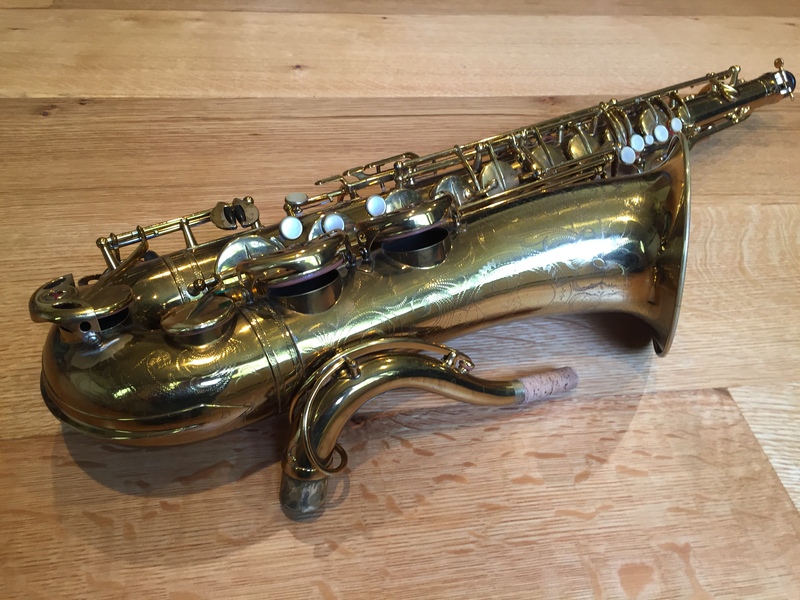 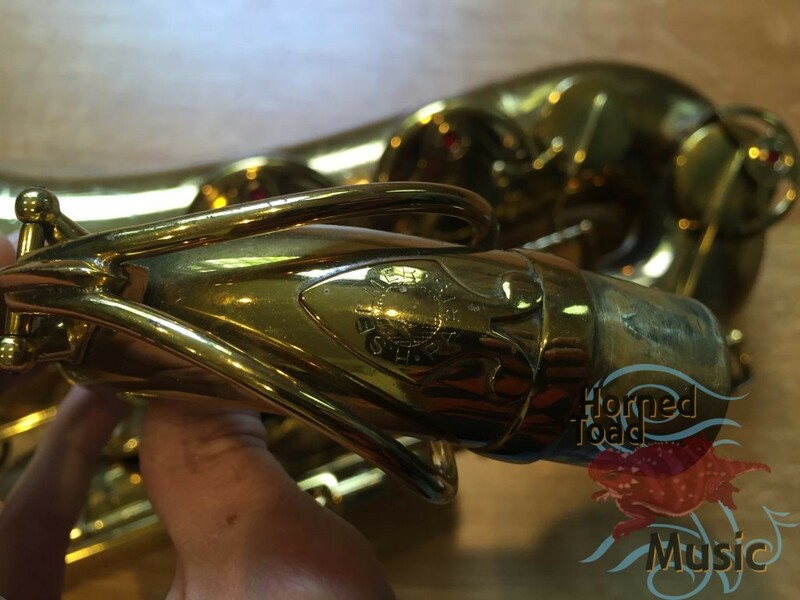 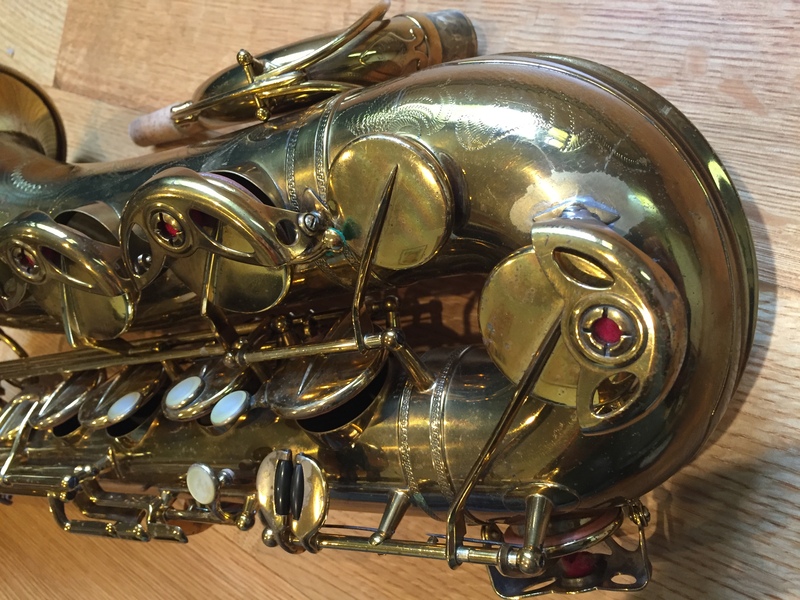 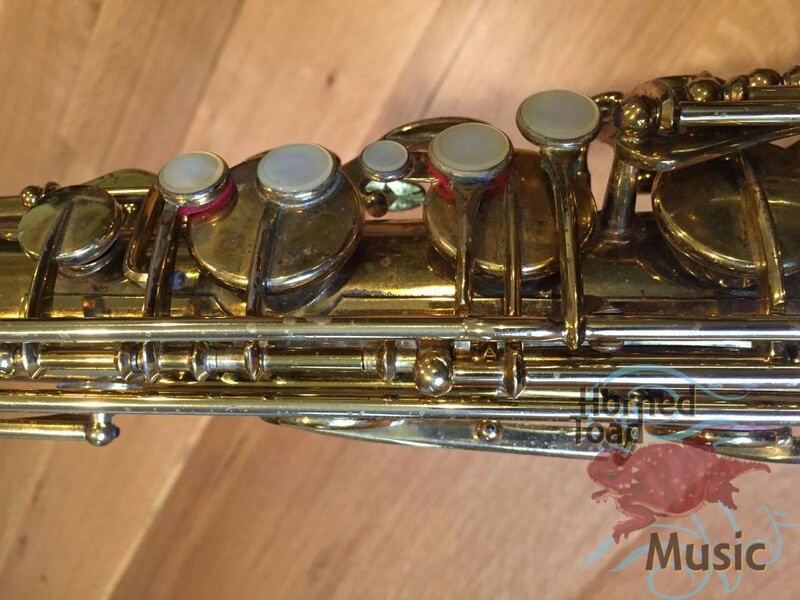 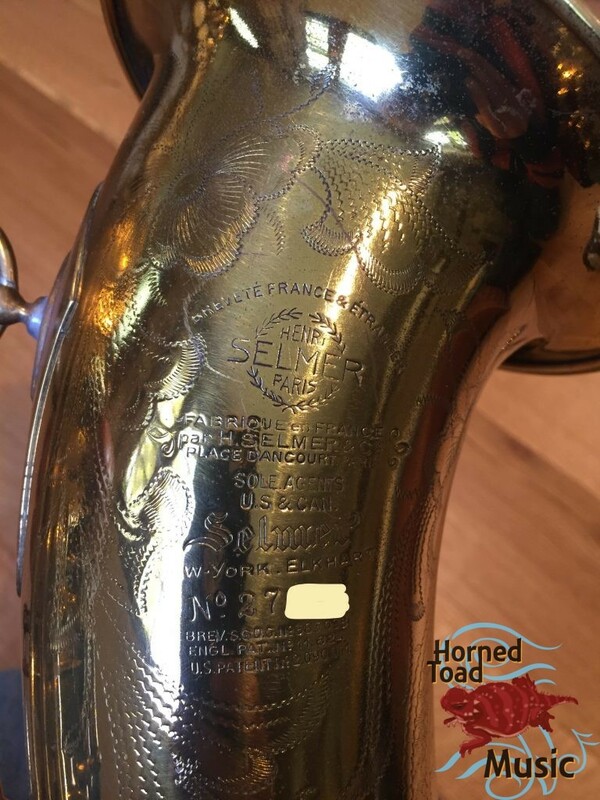 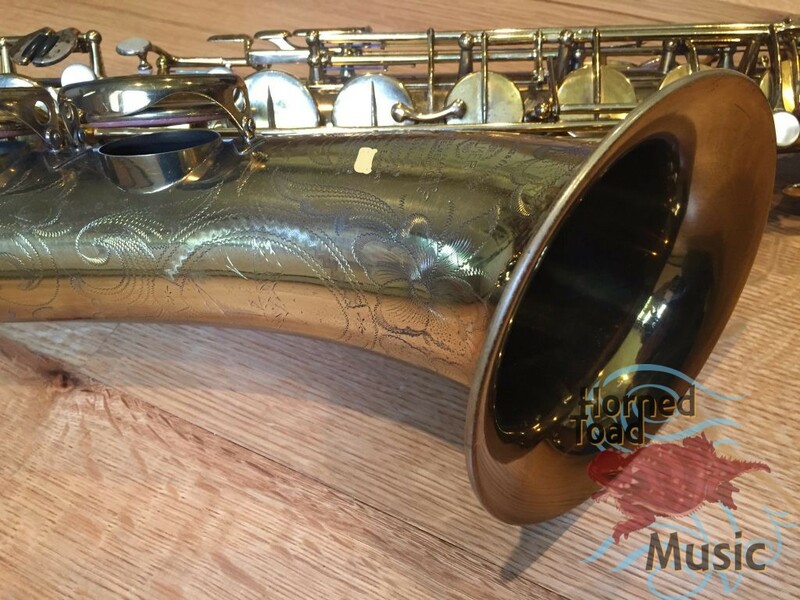 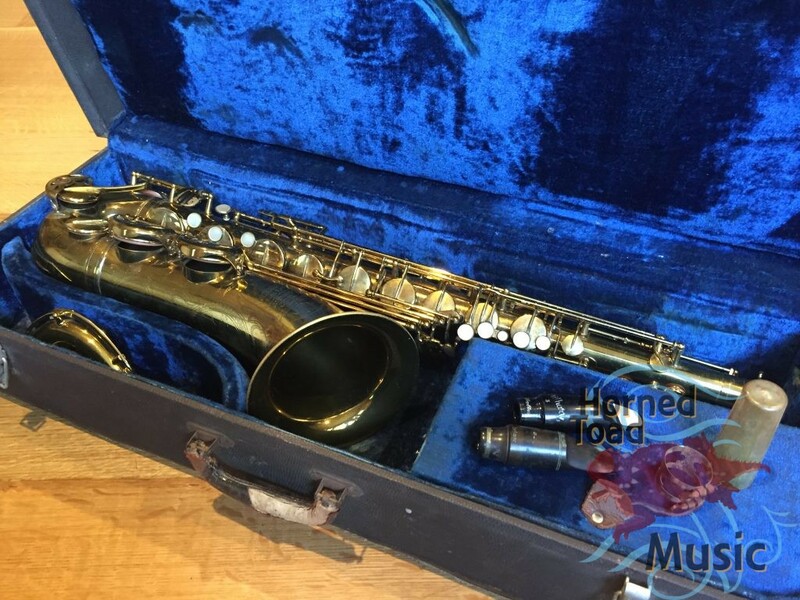 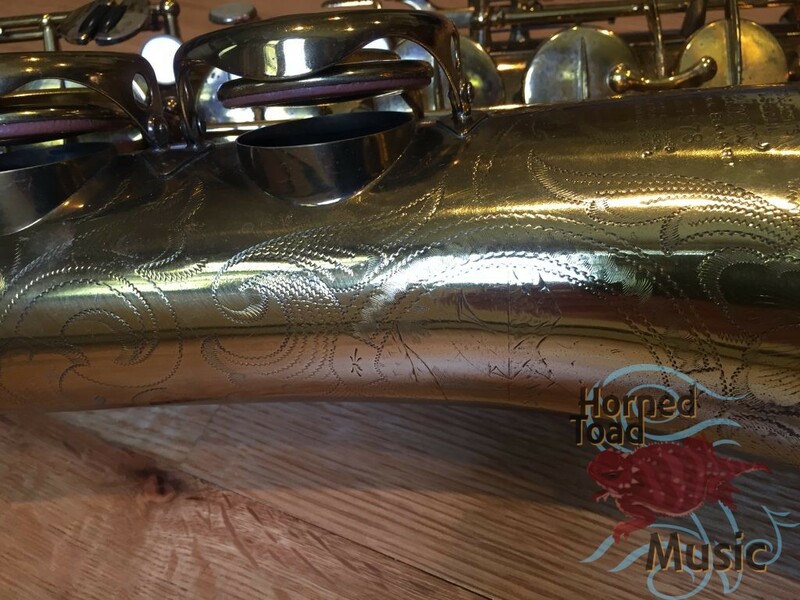 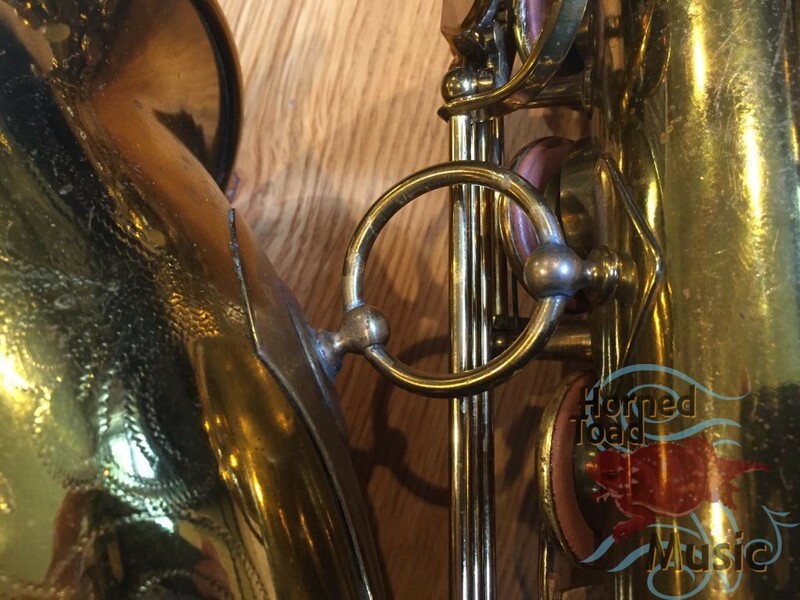 Selmer Balanced Action tenor saxophone, #27xxx. 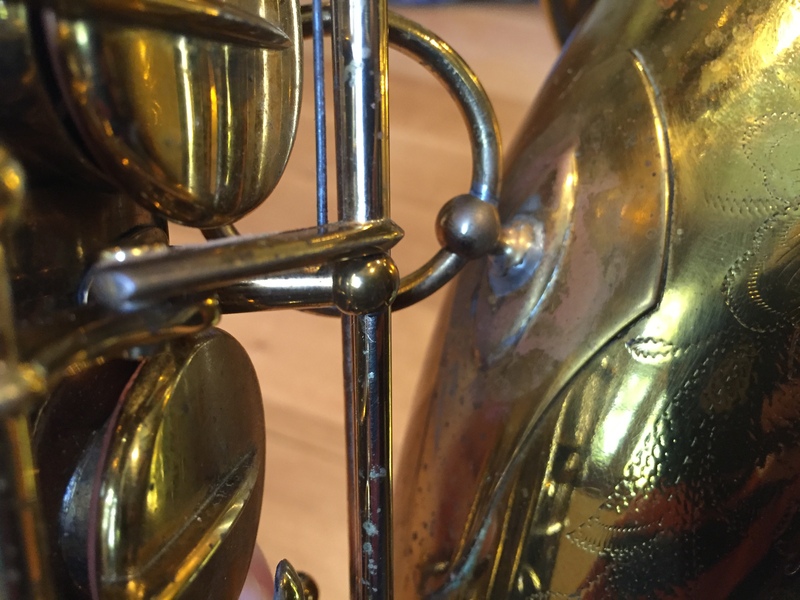 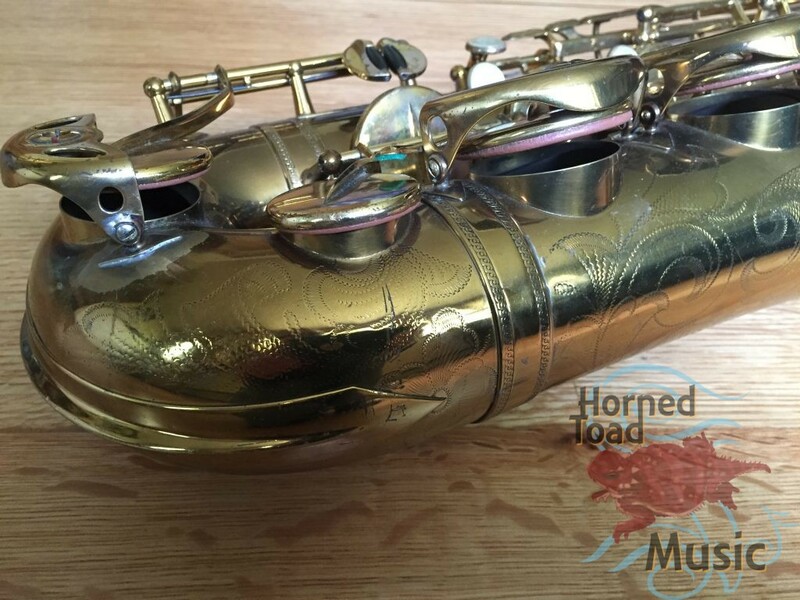 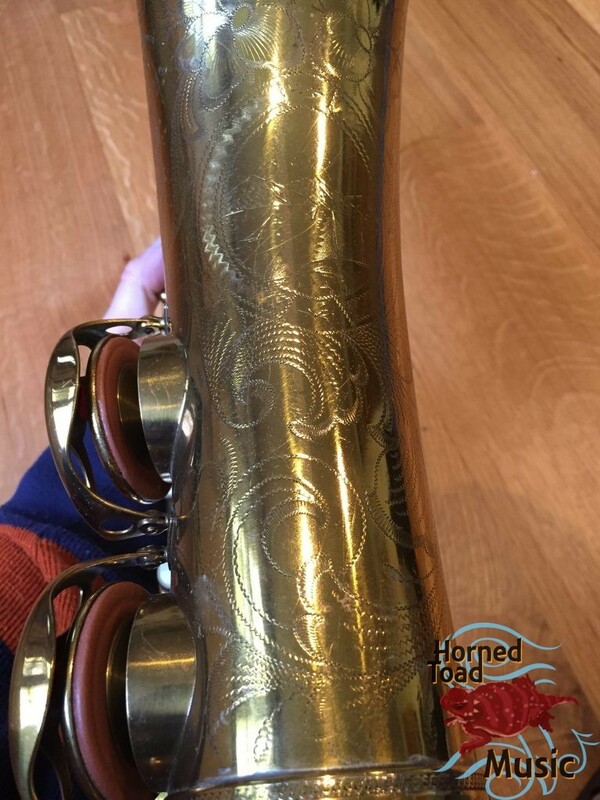 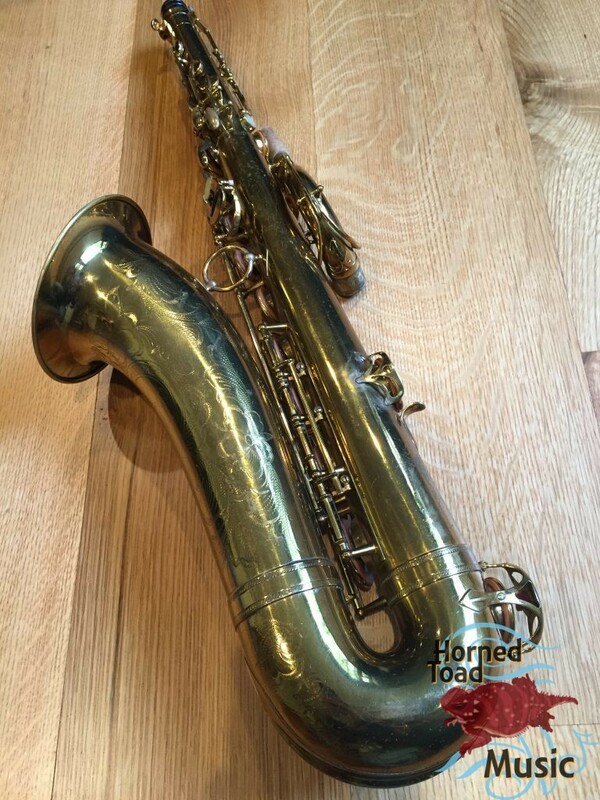 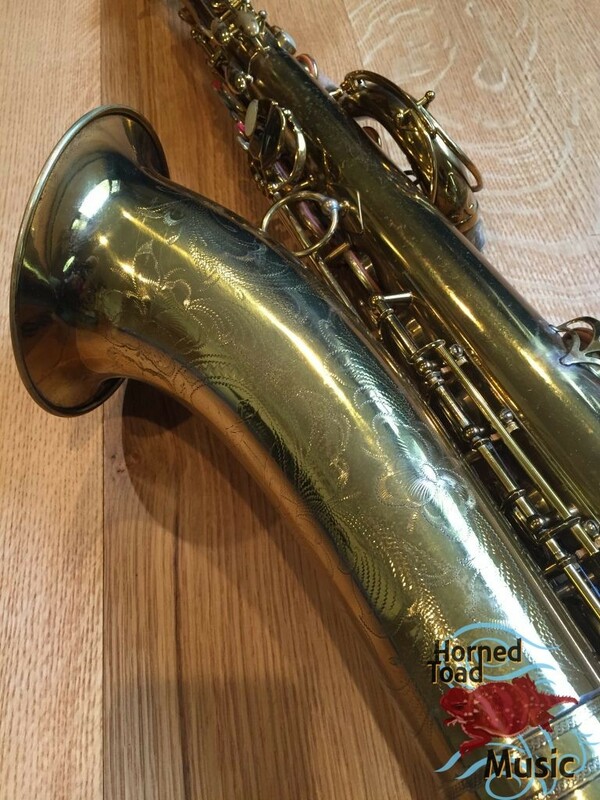 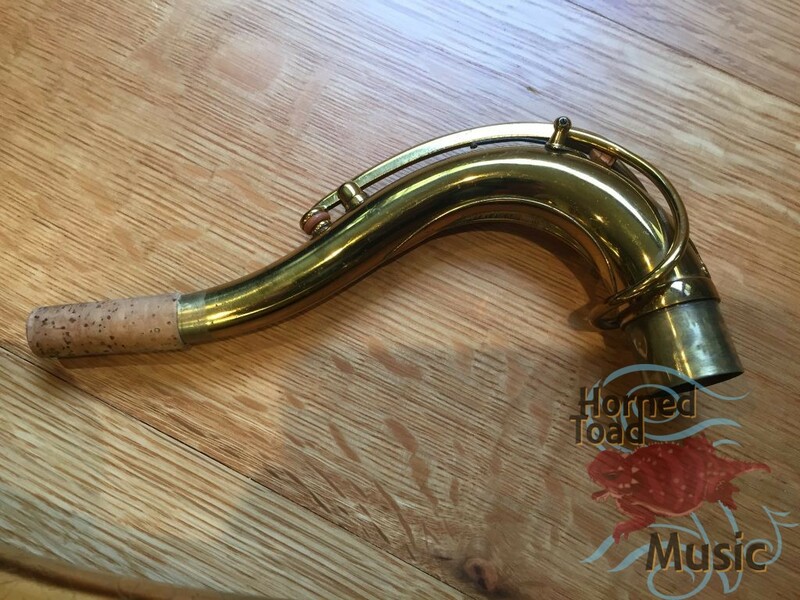 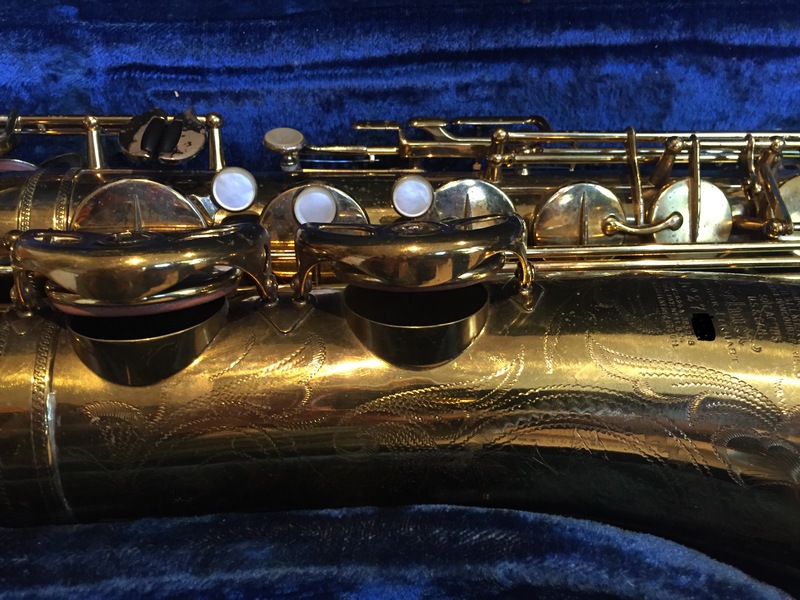 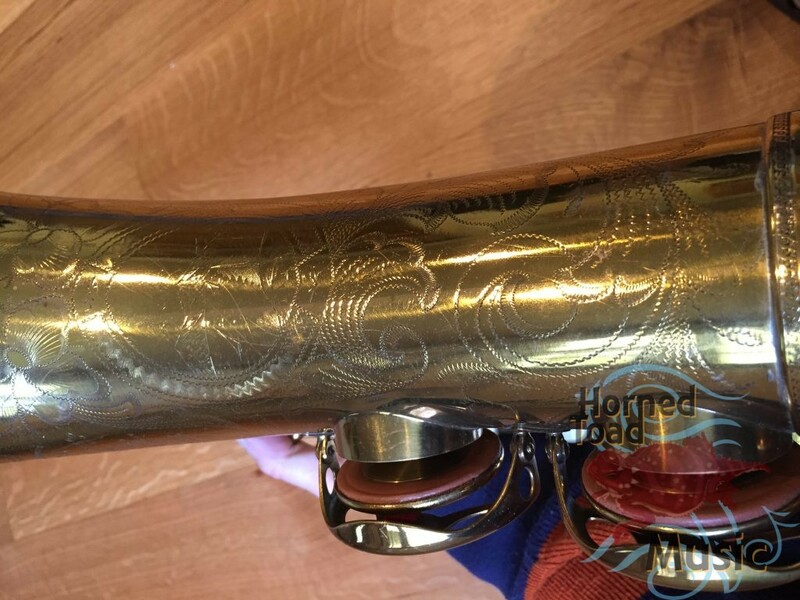 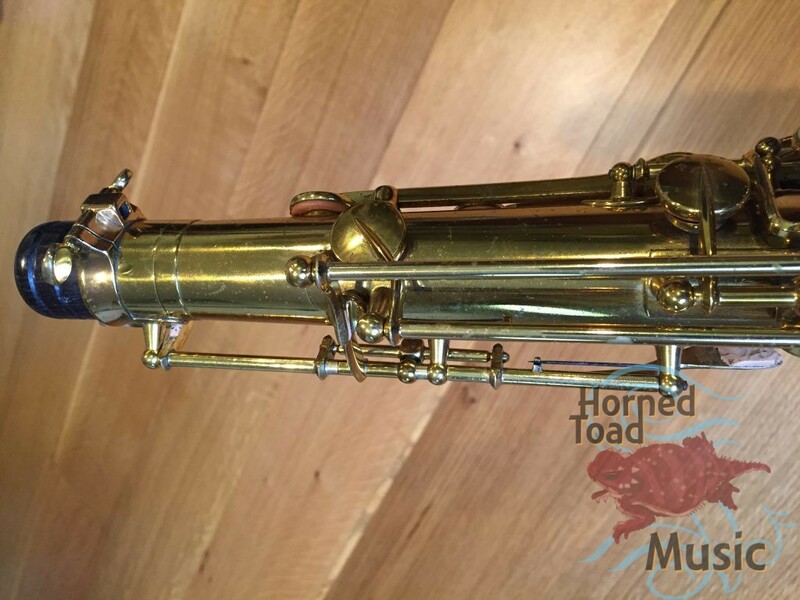 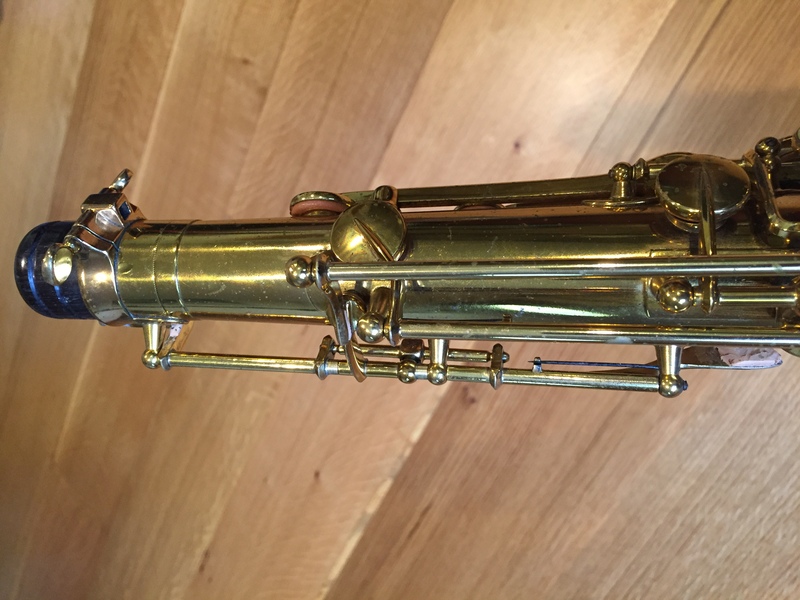 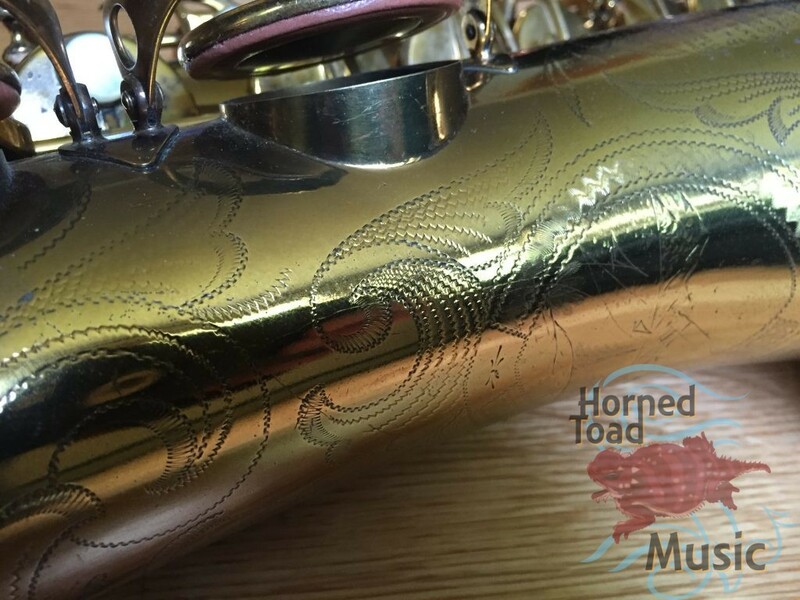 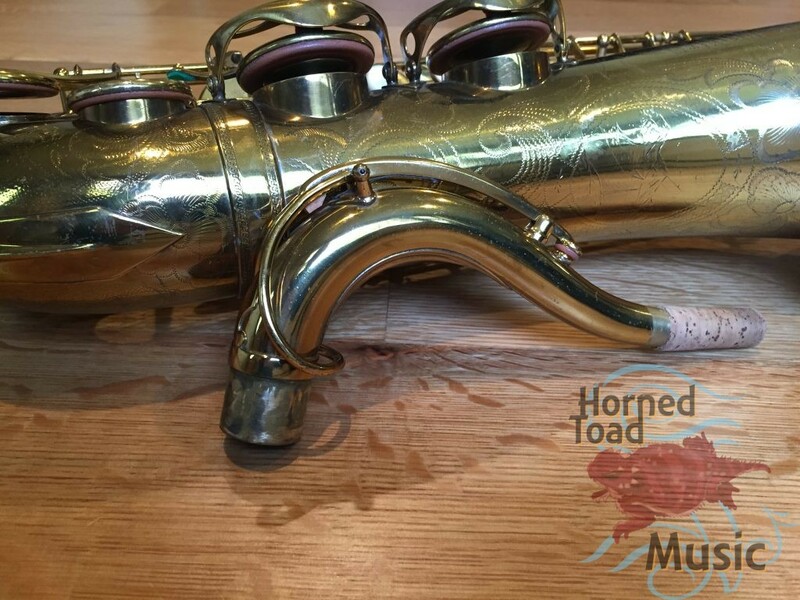 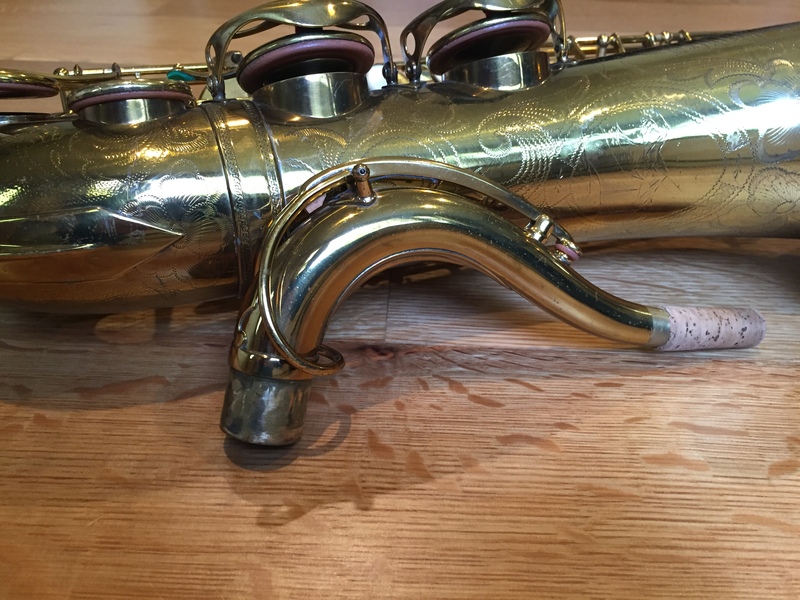 This is a wonderful horn that I found in a sad state and restored it. It is not a perfect museum piece, it has had some repairs and solders etc, but it actually looks really nice. 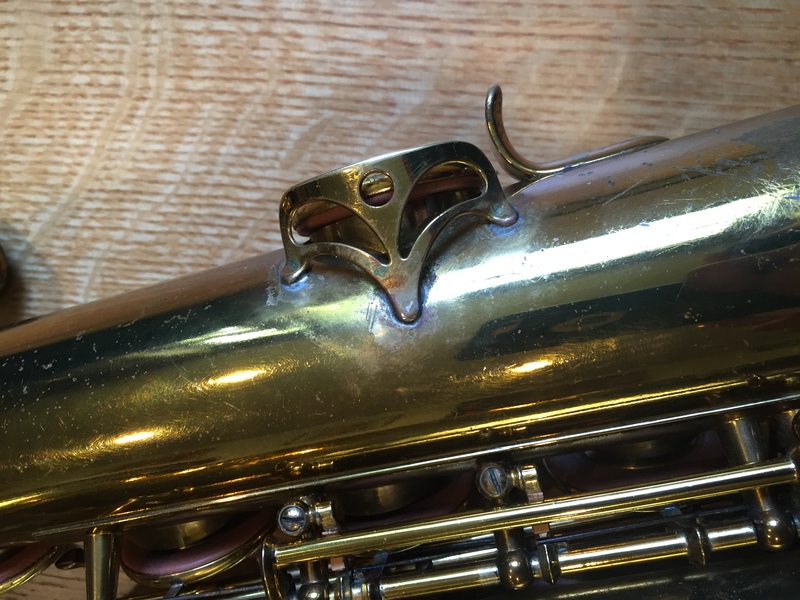 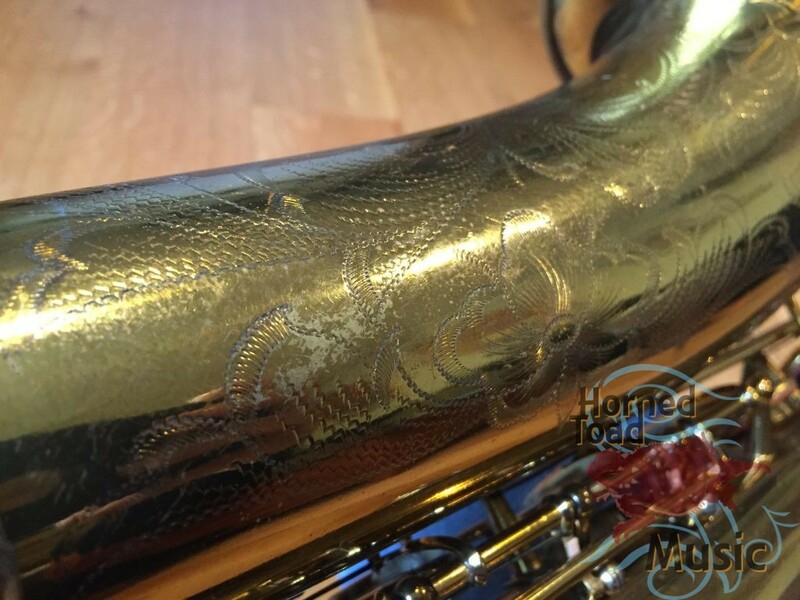 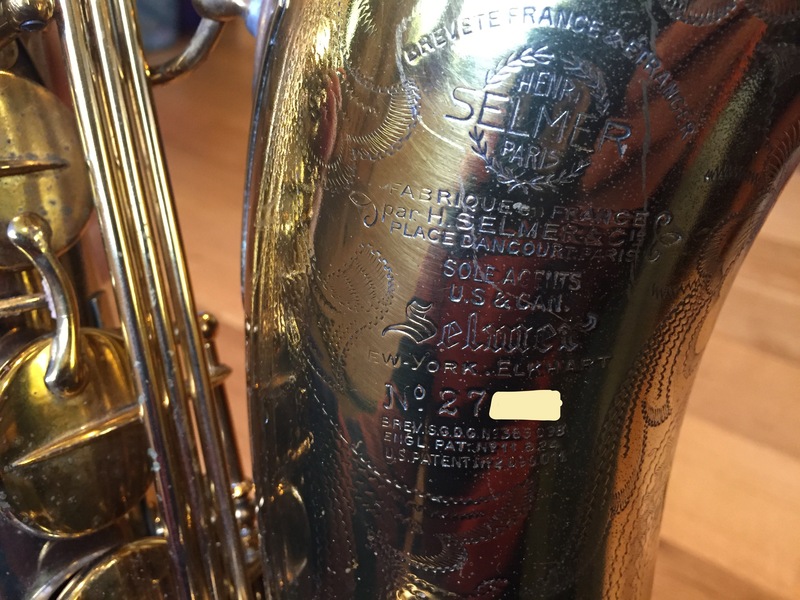 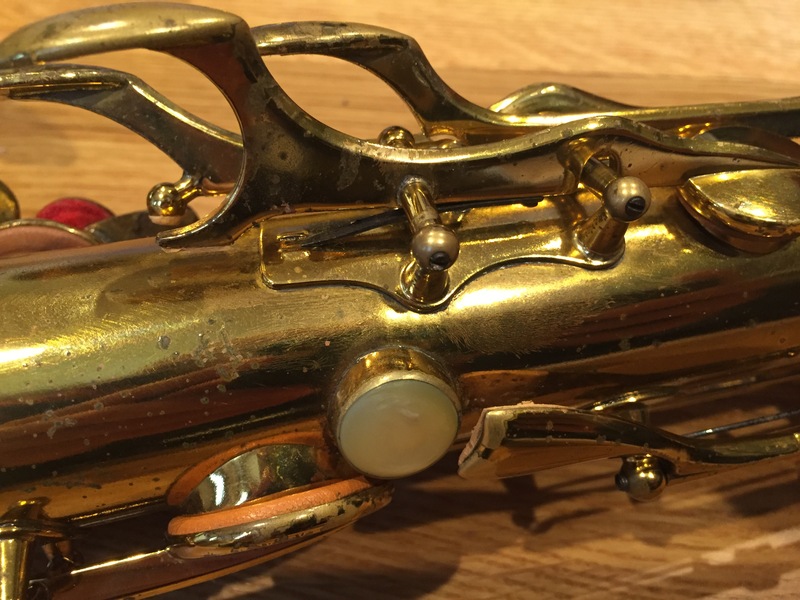 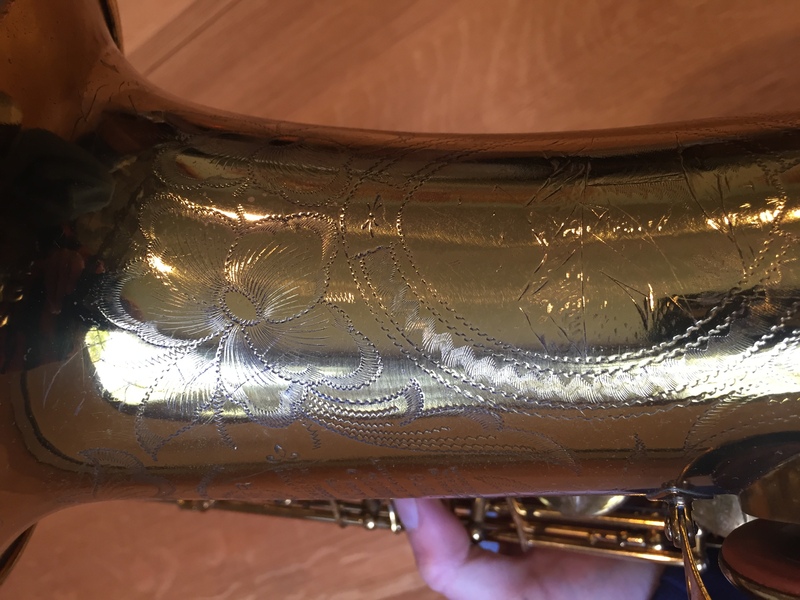 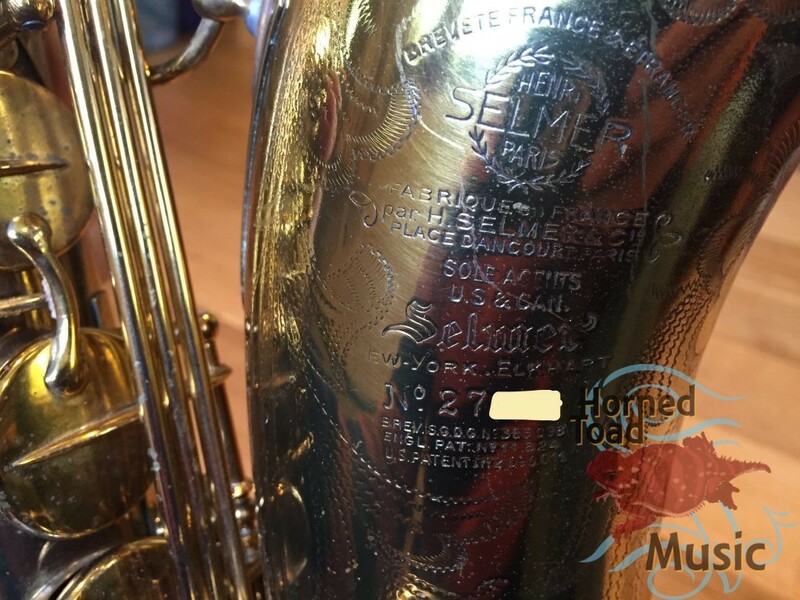 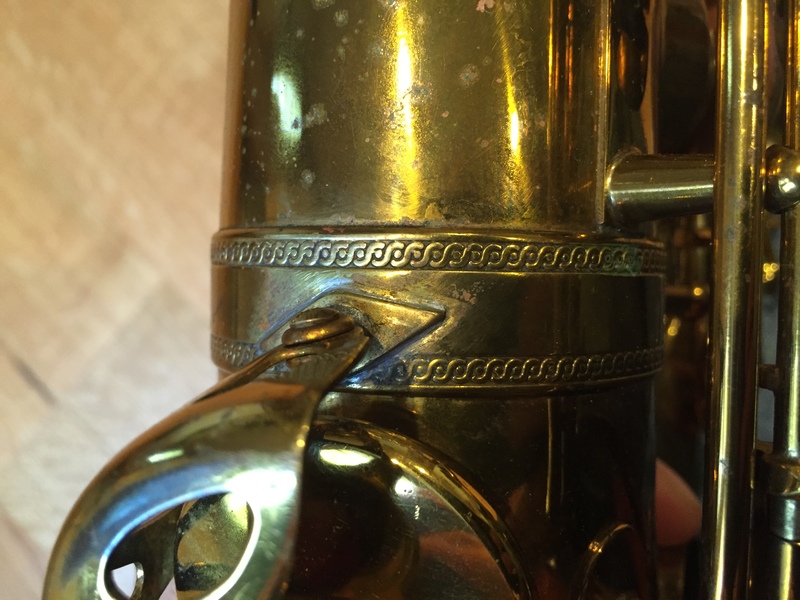 It was probably relacquered at the Selmer factory many decades ago. It looks that way to me based on the gentle treatment of the engraving. 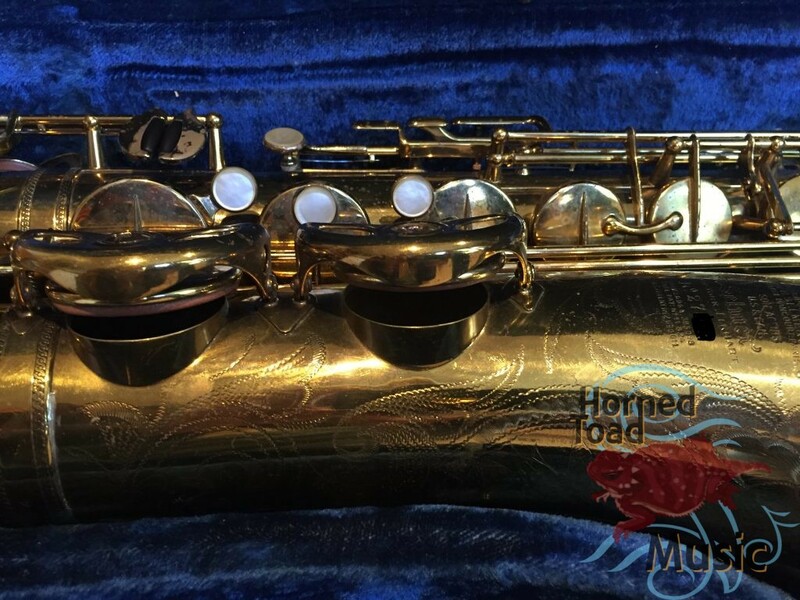 It has had a full overhaul done on it, level tone holes, nice key fitting good quality pads and high quality metal resonators. It plays like a dream! 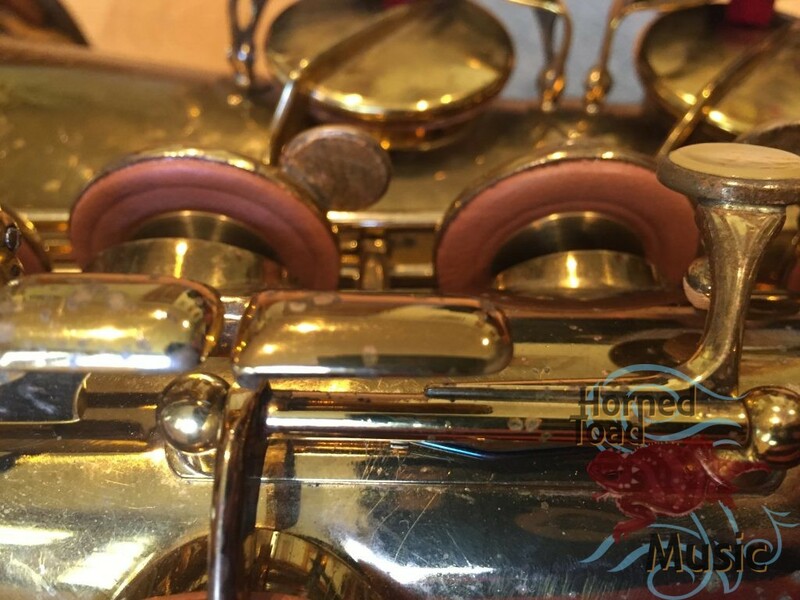 The key action is very light and the pads are really seated nicely, takes no finger pressure to get the richest of sounds out of it. 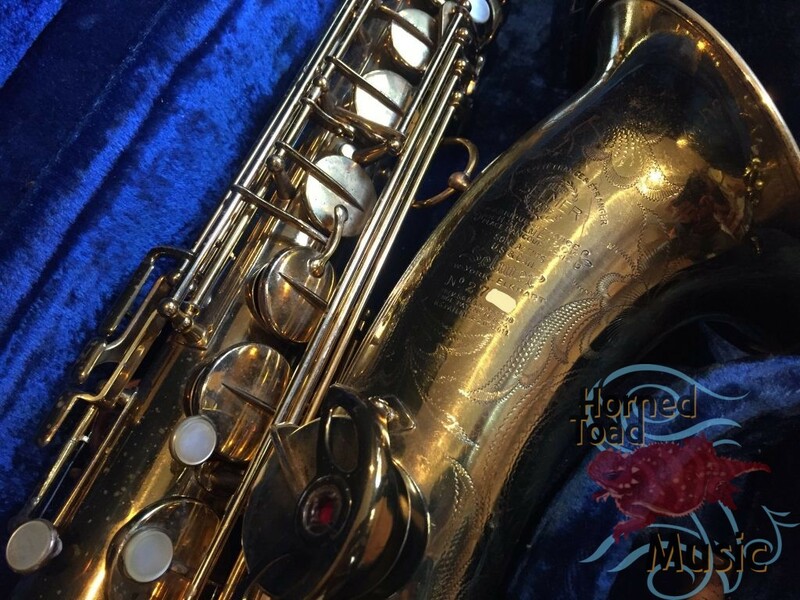 It has an very nuanced, complex and lyrical tone that is also very lush but quite loud. This horn outplayed one of the best Super Balanced actions that I had here which of course was quite expensive. The scale is of course a bit different as that was one of the changes of introduced with the SBA, but there was no question this was louder and more present and a bit more flexible. 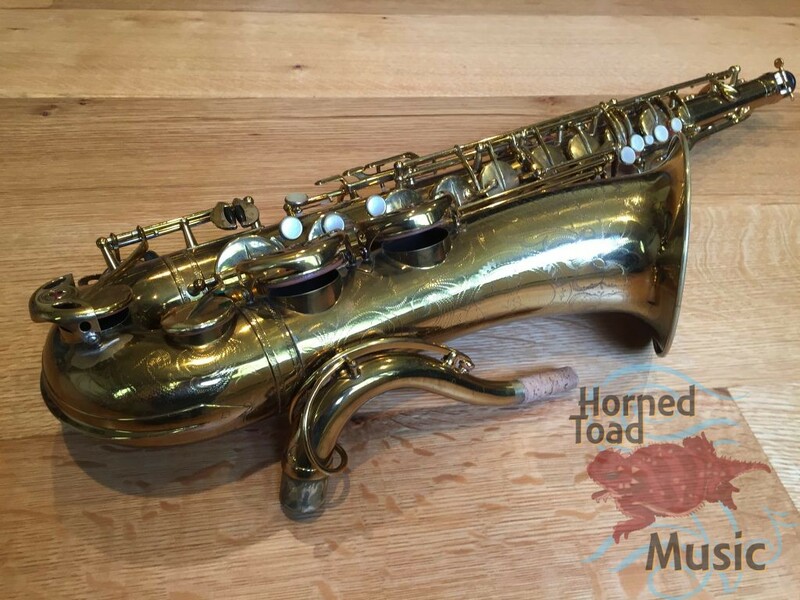 I’ve rescued this and really was happy with how it came out. 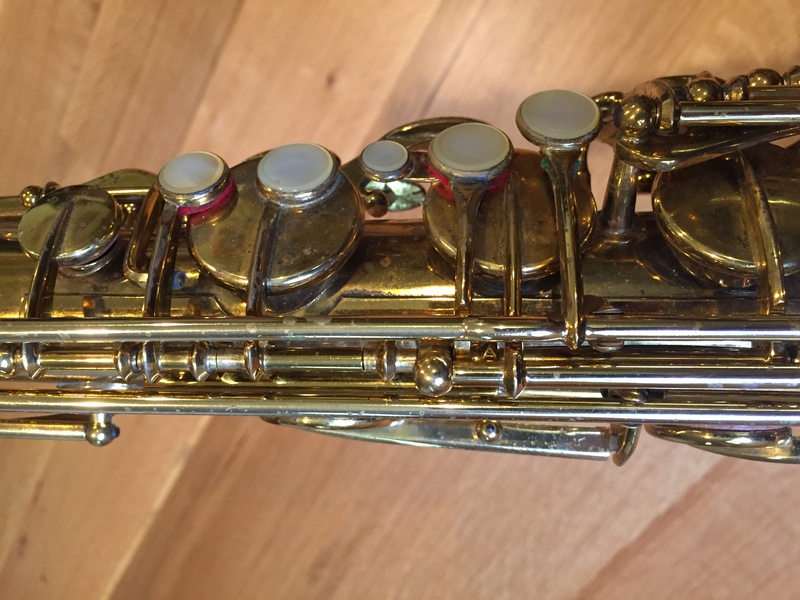 For someone looking for the Balanced Action experience this is among the best I have played. 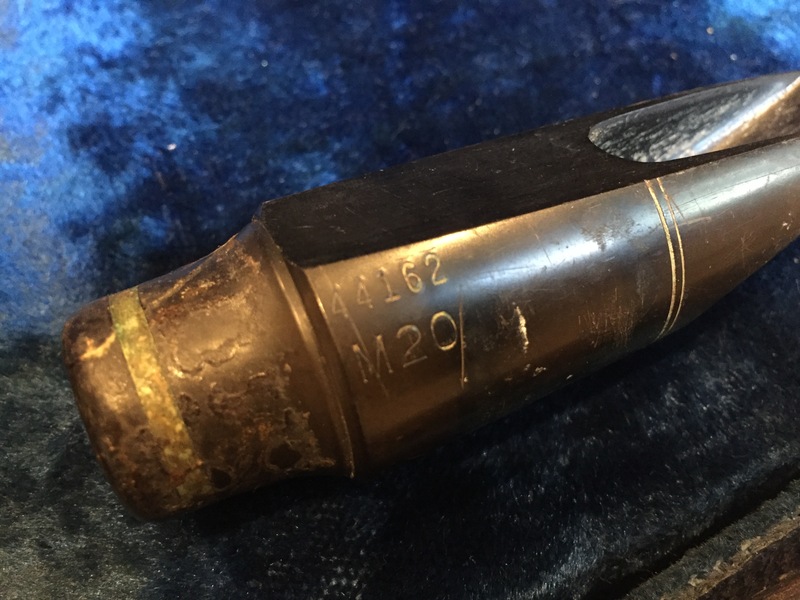 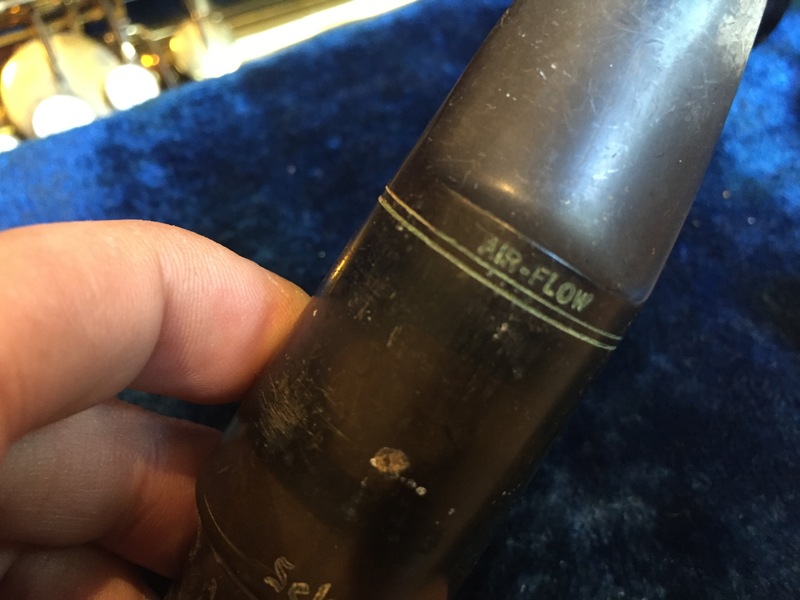 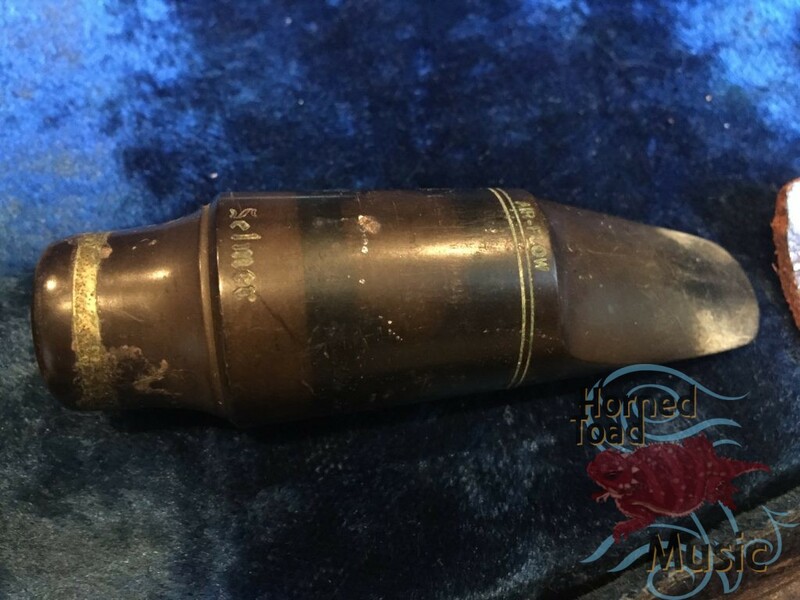 This came with what I believe to be the original case and most likely the original Selmer “Air Flow” mouthpiece. 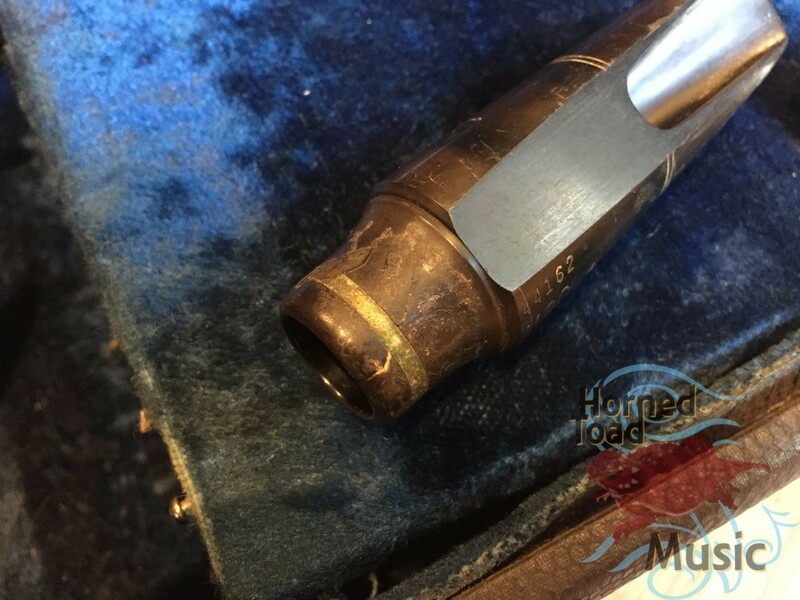 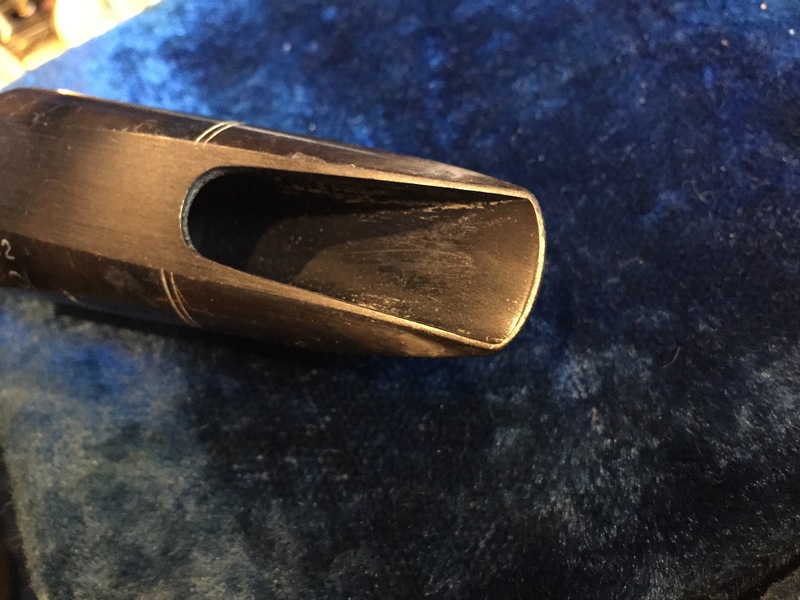 The mouthpiece shows a crack in the shank which may have been metal banded and repaired by someone. I have not played it, but as this and the case appear to be original equipment I am keeping them with the horn. The case is very tattered and only useable in home, but it will be ok for shipping.